The one place I would choose to live if I could choose anywhere in the entire world. Sydney is beautiful. 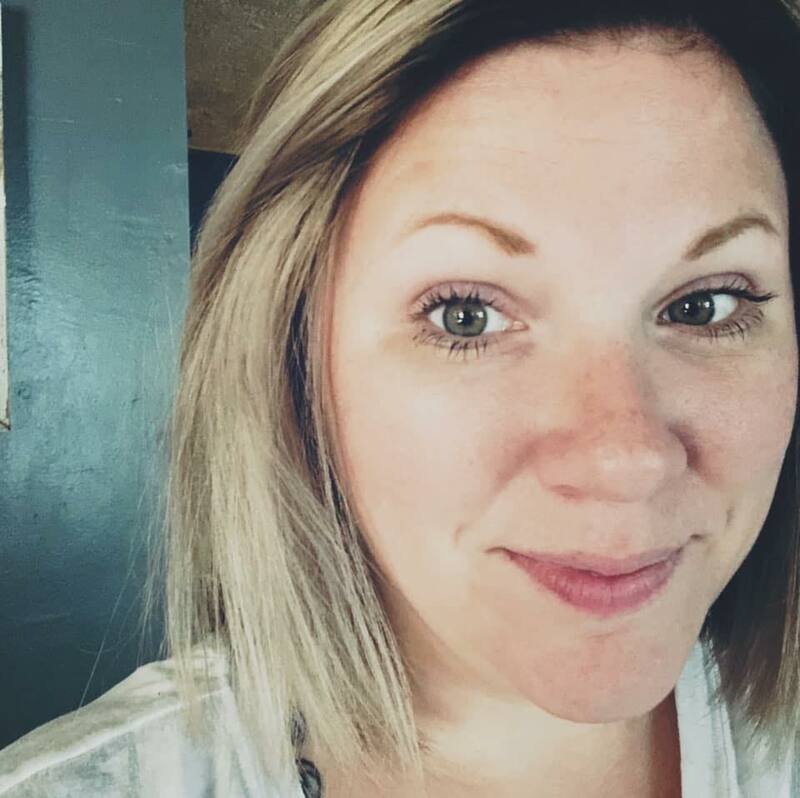 There is so much to see and do there. 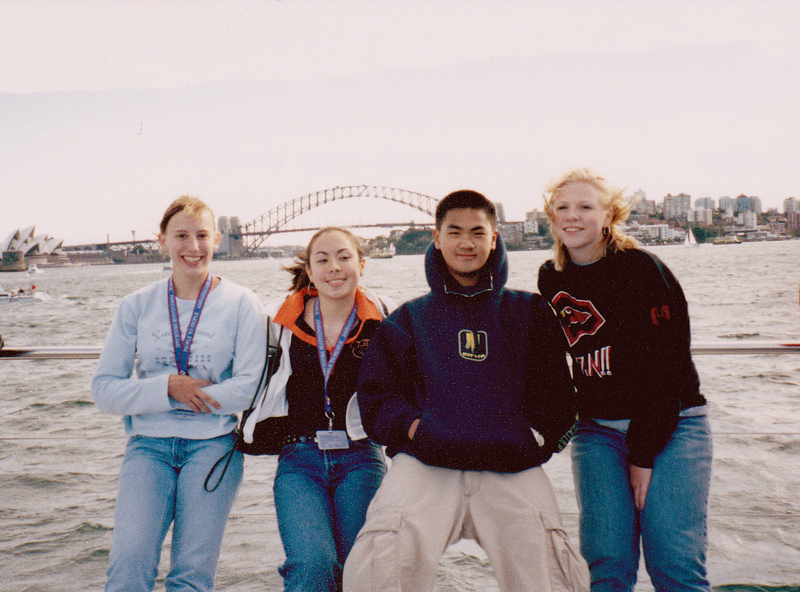 I only spent two days in Sydney when I went with the People to People Student Ambassador program back in June of 2002. (I previously posted about our snorkeling adventure in the Great Barrier Reef). One amazing feat we got to undertake while there was climbing the Sydney Harbour Bridge! Before I started attending the preparation meetings for the trip I had only heard about the famous bridge. 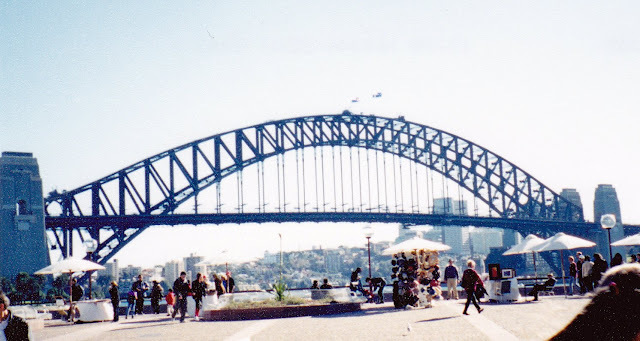 I mean, I knew the Opera House and the Harbour...and I could visualize the bridge in the background of my mind, but I never gave it much thought. I definitely didn't know you could climb the bridge. There are lots of steps! It is a work-out, coming down my legs were shaking from taking all those steps down. Climbing the bridge there are some small areas to squeeze into, but you make it to the top of the bridge where the flags fly high, it is amazing. You can see the most beautiful view of Sydney Harbour and the Opera House. Then you realize you are that little person at the top of the bridge you saw while looking at the bridge when you were on the ground. I'm the one in the black shirt, blonde hair. 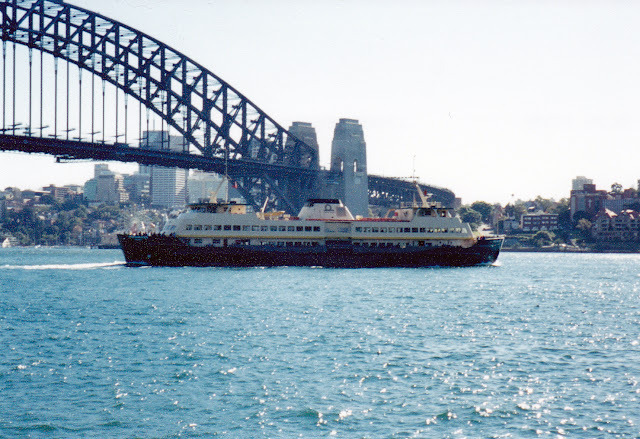 This photo was taken on our lunch cruise on Sydney Harbour. Finding Nemo anyone? This is my group of students that I went with to the top. See the Opera House? I'm the one in the front of the group! Some awesome shots of me climbing the bridge that the tour guide takes. 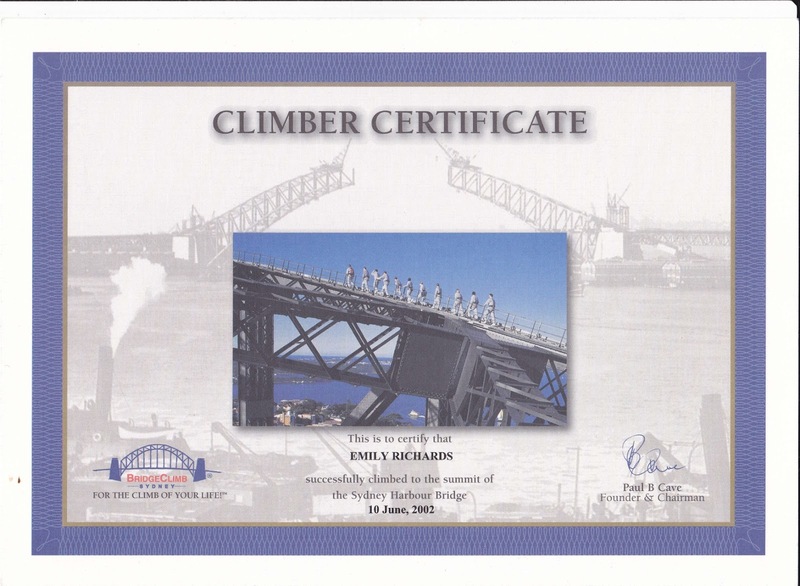 And of course you get an awesome certificate to certify that you climbed the Sydney Harbour Bridge. It is worth the money to do the climb. I mean, I said it in my post about visiting Chichen Itza...would you visit Egypt and not visit the pyramids? No! 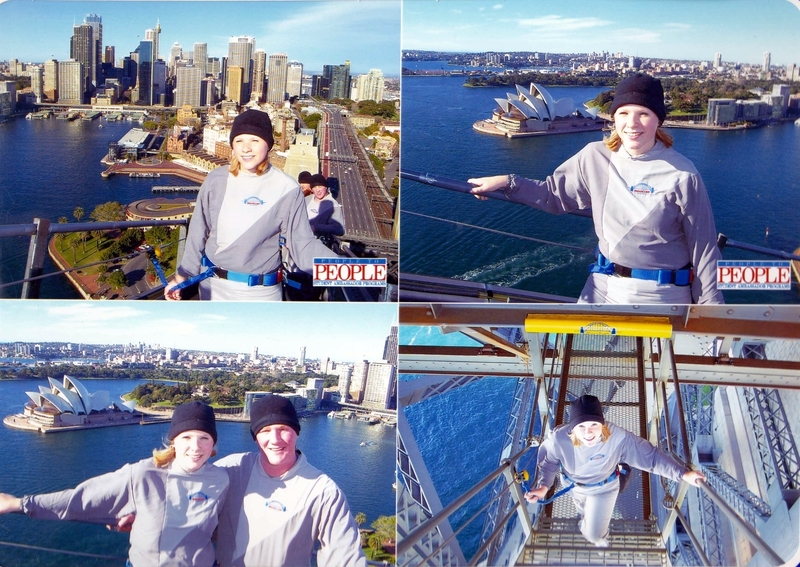 So when you visit Sydney, you must climb the bridge! Me and my sister were in Australia that same year with people 2 people. She was probably in you group!! That was an amazing trip. Ill never forget seeing the harbor and the reef. And Ayers rock was amazing too. 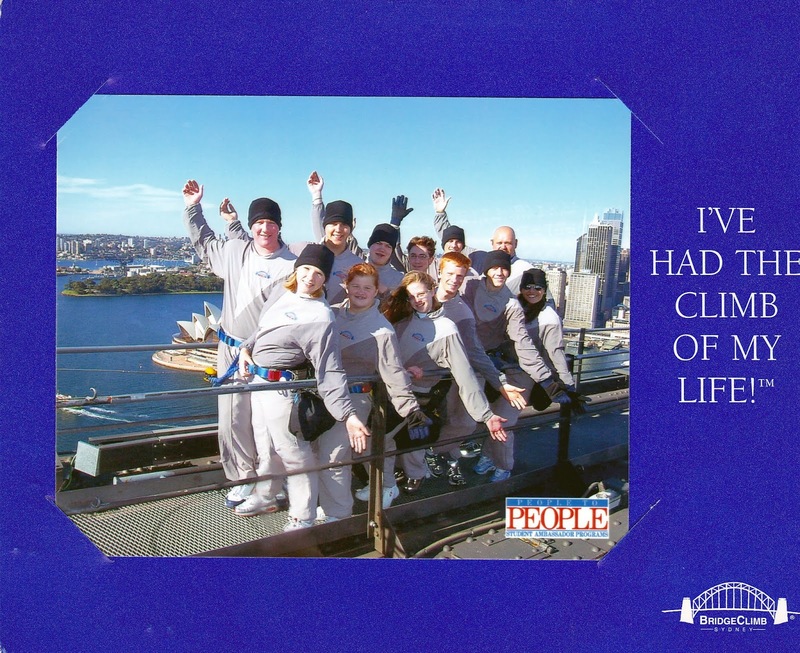 I was 13 when I went so my group wad not allowed to do the bridge climb but but we did a yatch cruise through the harbor. My sister was in the high school group which wss a few daya bwgind the middle school group. I was looking for her in your pictures! So cool to find soneonw so many years later that shared in this experience!